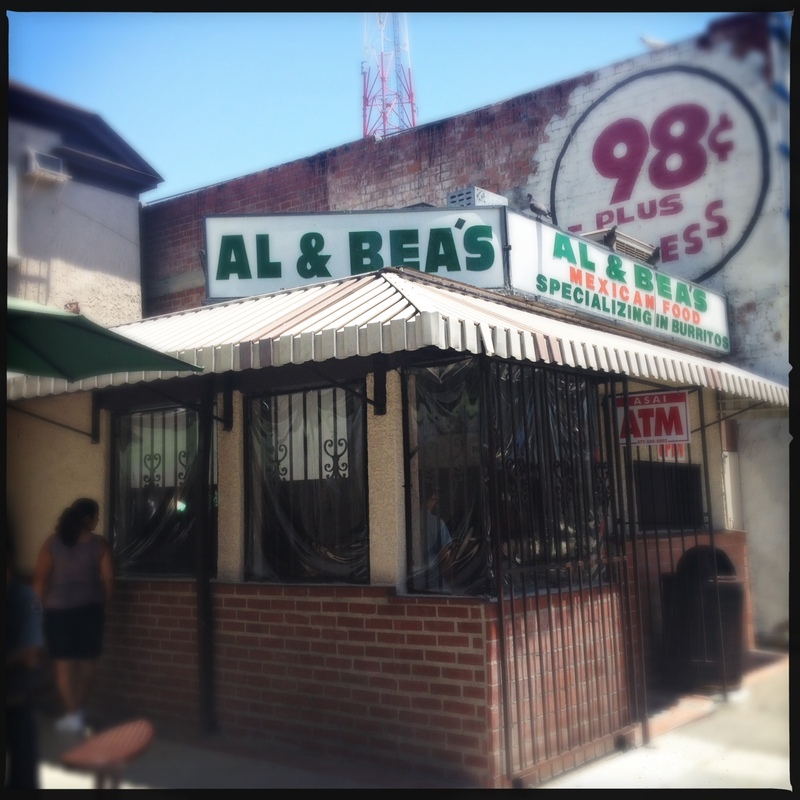 i am not sure where i first heard of al + bea’s mexican food, but i believe it was an article on the best burrito. 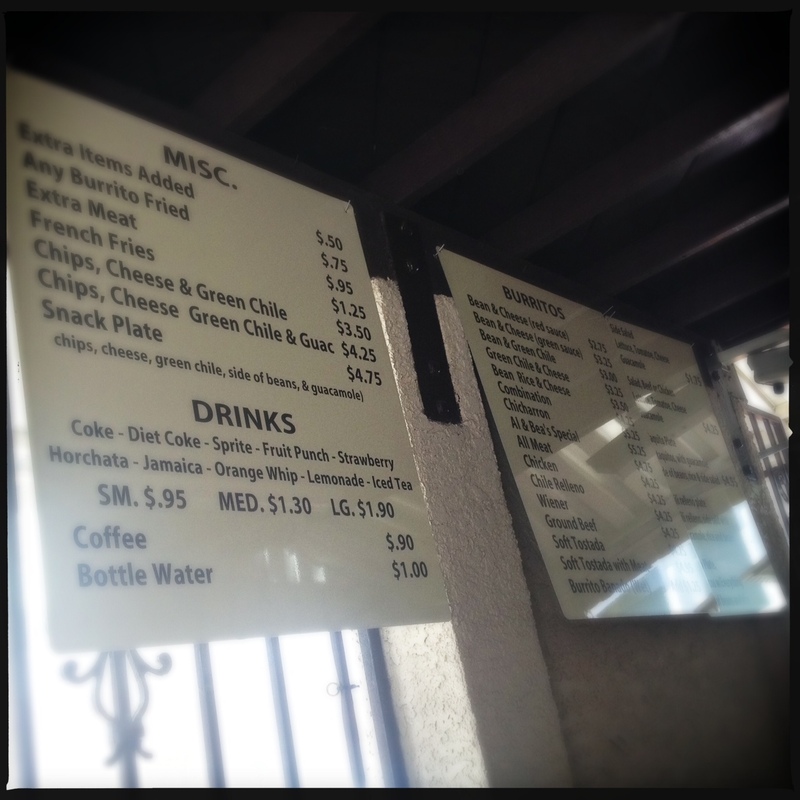 i remember it specifically mentioning the green sauce, and since they are just across the los angeles river in boyle heights from where i live downtown, i had to check them out. 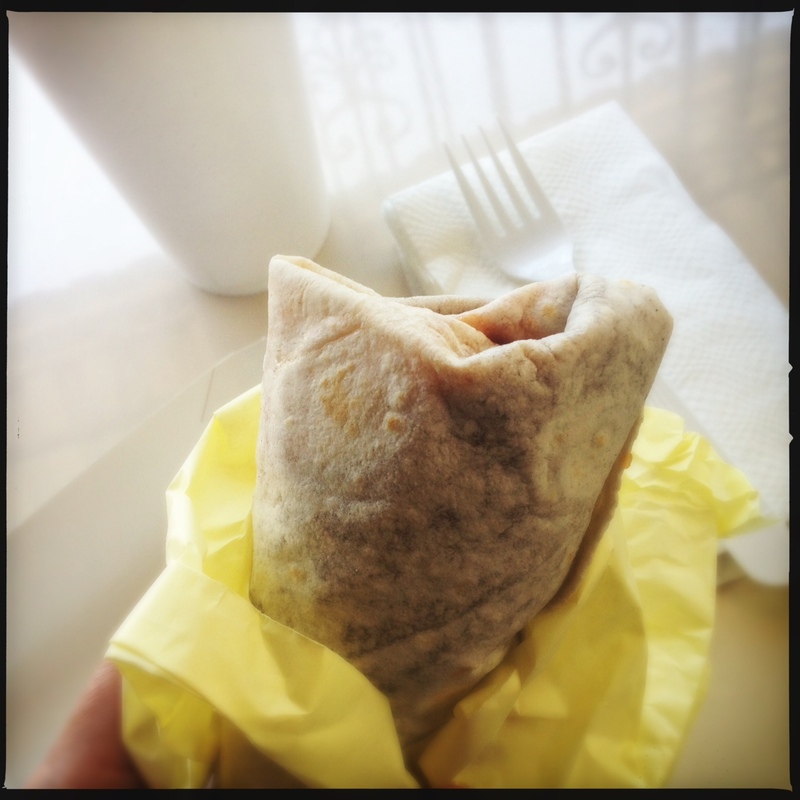 i am certain that they must use some sort of addictive additive (like crack) in their beans, because there are mornings i will wake up and have their bean and cheese burrito on the brain. maybe they use lard? or it’s the type of bean? but their refried beans are just damn tasty. 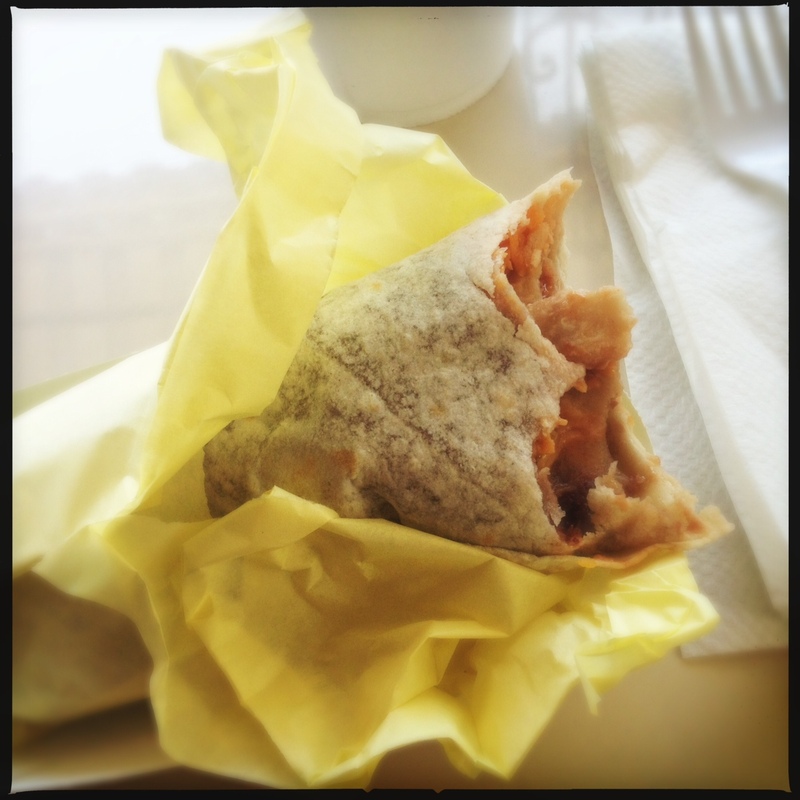 other than ordering their chile relleno burrito once, i always get the bean and cheese with red sauce. 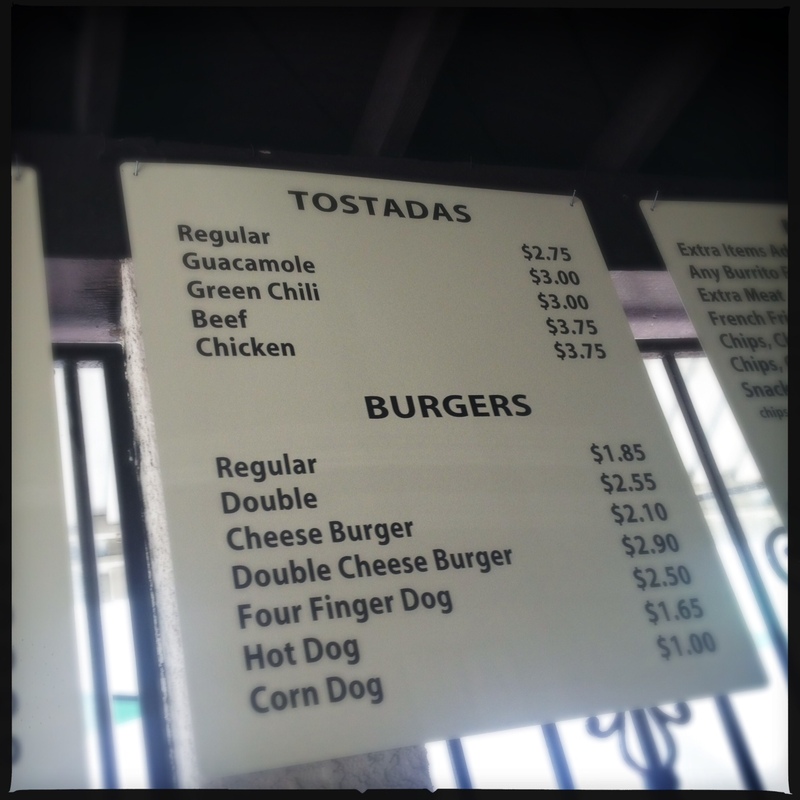 i tried the green sauce, but i prefer the kick of the red. it is nothing fancy. 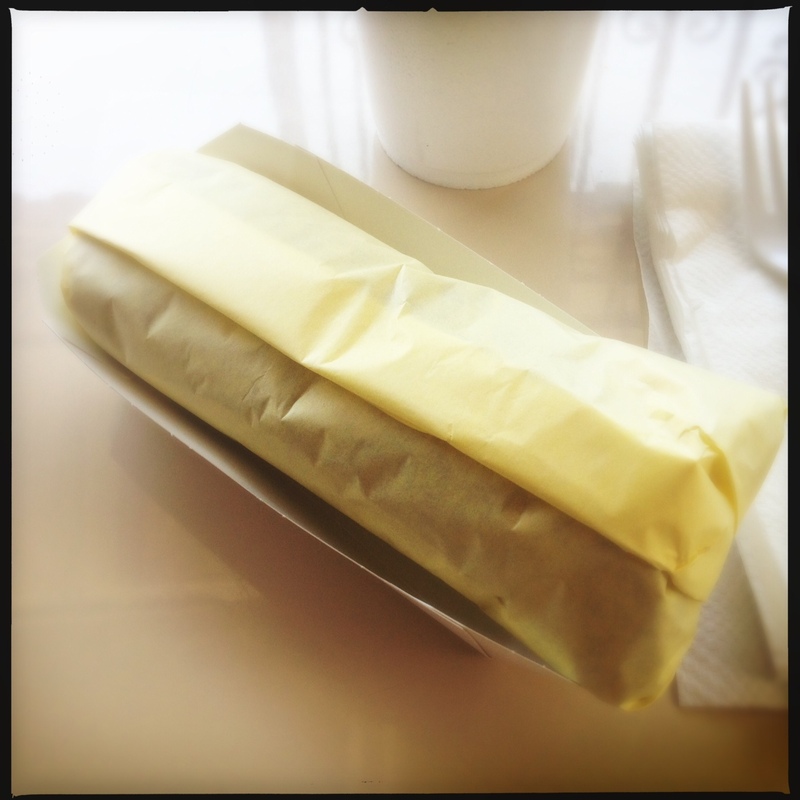 a tortilla, refried beans, cheese and sauce. that is it. 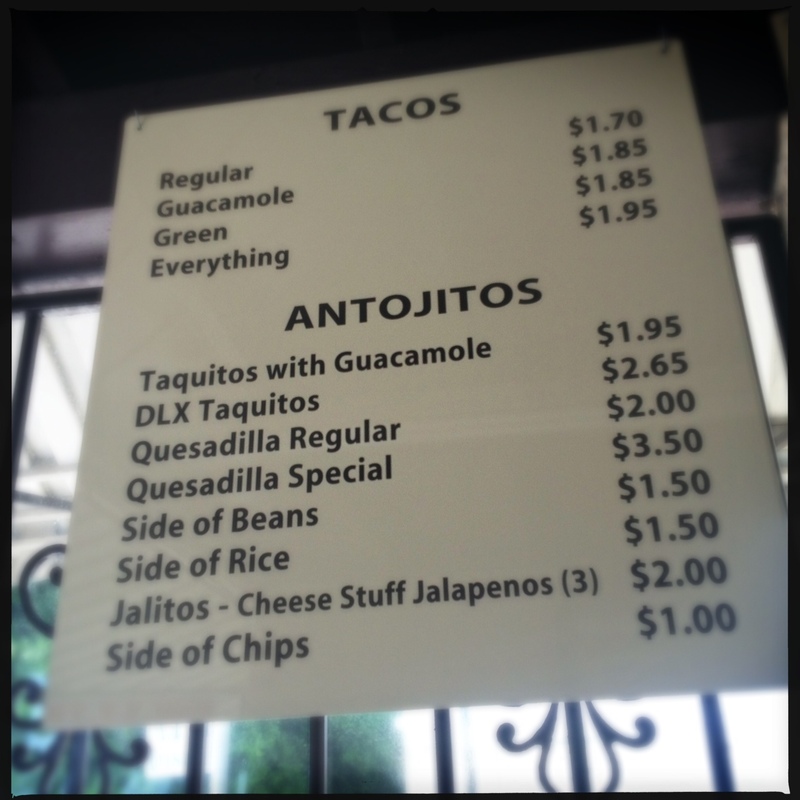 the menu is above the tables and ranges from burritos and tacos to hamburgers and fries. 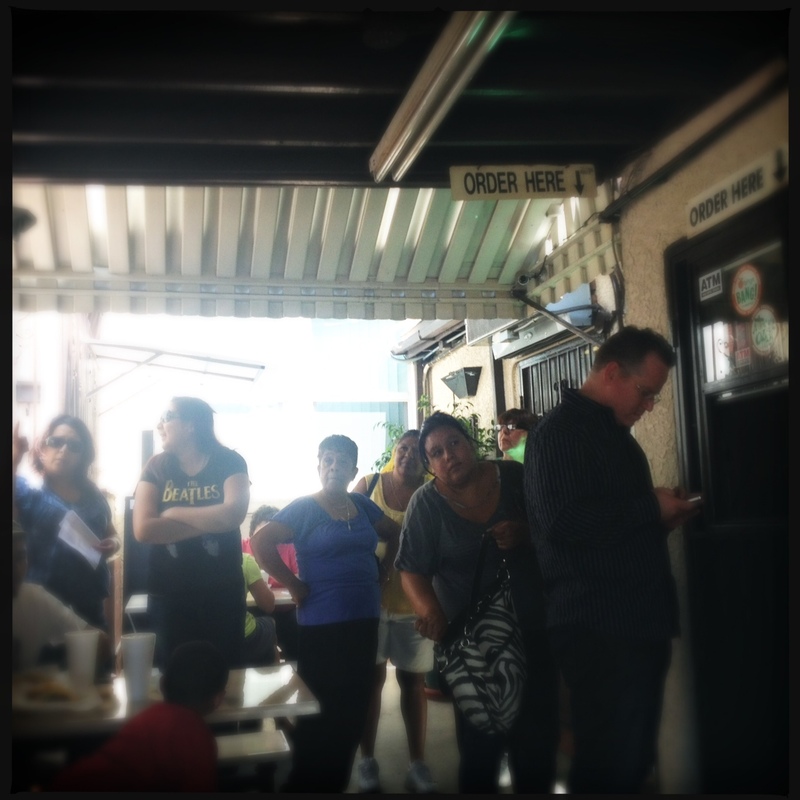 you stand in line to order from a window, wait for your number (called out first in spanish, and then nicely in english for us gringos in socal who don’t know their basic spanish), and pick it up at another window. fyi, it is cash only, but they do have an atm, and it is ridiculously cheap. lunch time can get quite busy. i managed to beat the rush today, but by the time i was done there was quite a line.